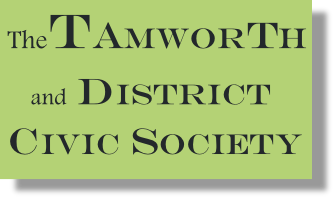 Tamworth and District Civic Society (TDCS) held its 1st AGM on Tuesday, 17th May 2016. For this milestone occasion we returned to Tamworth’s Central Methodist Church where the society’s auspicious Public Launch meeting took place last September. There was a very pleasing attendance. In the eight eventful months since our Launch, membership has risen to 105, and TDCS has established itself at the forefront of planning campaigns and heritage initiatives to protect and improve Tamworth and surrounding villages. 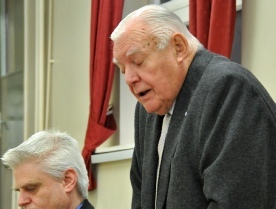 The business session of the annual meeting was chaired by Dr. Geoff Noon, who was founder Chairman of the former Tamworth Civic Society in 1973-76 and its first Honorary President in 1978-85. 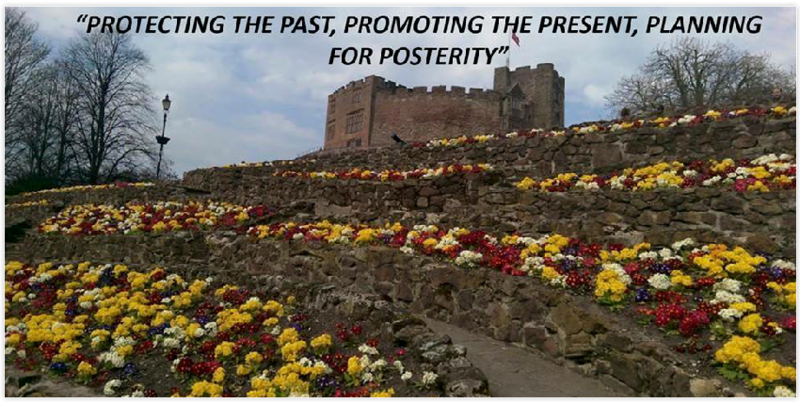 He said he had been saddened by the decline of the former society, but was delighted that if had “risen like a phoenix” as the Tamworth and District Civic Society. He told members that their committee had worked incredibly hard, and had achieved quite remarkable things in the space of just a few months. 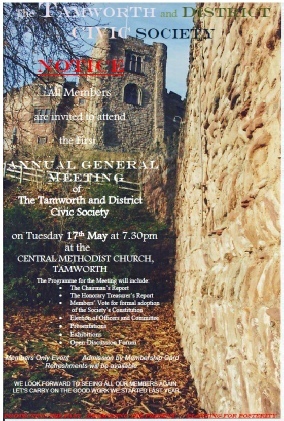 Members could be assured that they had a committee that would try its hardest on behalf of the society to benefit Tamworth. TDCS Chairman Dr. David Biggs said it was the end of an era and the start of a new one as the Steering Committee gave way to an Executive Committee elected from and by the membership. 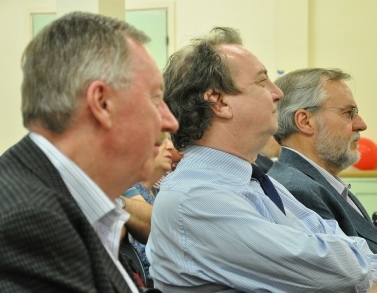 He thanked all those who had done a “brilliant job” in steering the society to its first AGM. He recalled the 1-2-1 chats he had in May and June of 2015, followed by the group discussion that decided something had to be done to stand up for Tamworth’s environment and heritage. The planning that followed was rewarded by the very successful Public Launch, and by everything that had been achieved since. He paid tribute to Dr. Noon, who was not joining the elected committee, for the wise counsel and gravitas he had brought to the steering group, and for the continuity he had provided with the aims and hopes of 43 years ago and the work of the former civic society. 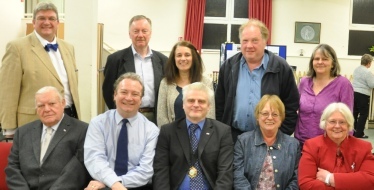 David reported on the events and developments to the end of 2015, touched on those of 2016, and announced to members a raft of exciting future initiatives that TDCS has been working on since its Launch to promote Tamworth to the wider world, and encourage civic pride and community engagement in the area. These will now be made public and will show how TDCS is at the forefront of trying to promote Tamworth’s heritage and to help stimulate civic pride and community engagement. After refreshments, a lively Open Discussion Forum on Tamworth Topics and Issues was ably convened by Richard Kingstone. It was good to hear members’ views, experiences and suggestions. Members also had the chance to peruse a TDCS display and a display of photographs of Tamworth. The outgoing Steering Committee (one absentee) celebrate a job well done at the conclusion of the society’s 1st AGM. Richard Kingstone convenes the Open Discussion Forum on Tamworth Topics and Issues. 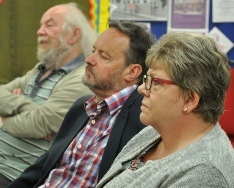 Elder statesman of Tamworth’s civic movement: Dr. Geoff Noon chairs the business session of TDCS’s AGM, 43 years after he founded Tamworth Civic Society. 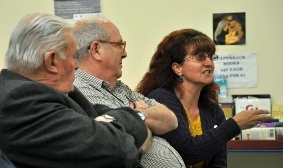 Members engage in stimulating debate. Rapt attention from the audience.